ENTERA HEALTH, INC. 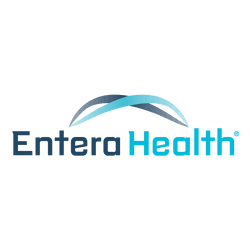 ANNOUNCES PRESENTATIONS AT DIGESTIVE DISEASE WEEK (DDW) 2015 IN WASHINGTON, D.C. - Entera Health, Inc.
ENTERA HEALTH, INC. ANNOUNCES PRESENTATIONS AT DIGESTIVE DISEASE WEEK (DDW) 2015 IN WASHINGTON, D.C.
Entera Health, Inc. today announces three poster presentations that will take place at the Digestive Disease Week 2015 Annual Meeting in Washington, D.C., from Saturday, May 16th – Tuesday, May 19th, 2015. Resolution of Antibiotic-Induced and Idiopathic Diarrhea in Infants with a Serum-Derived Bovine Immunoglobulin Preparation. EnteraGam® is a prescription medical food product intended to provide for distinctive nutritional requirements that are unique for the clinical dietary management of specific intestinal disorders [e.g., in irritable bowel syndrome with diarrhea (IBS-D), inflammatory bowel disease (IBD), and HIV associated enteropathy]. EnteraGam® is required to be used under physician supervision as part of ongoing medical care for a specific condition or disease. EnteraGam® is also indicated for the clinical dietary management of enteropathy in patients who, because of therapeutic or chronic medical needs, have limited or impaired capacity to ingest, digest, absorb, or metabolize ordinary foodstuffs or certain nutrients. For full prescribing information, please visit our product website at http://enteragam.com/.